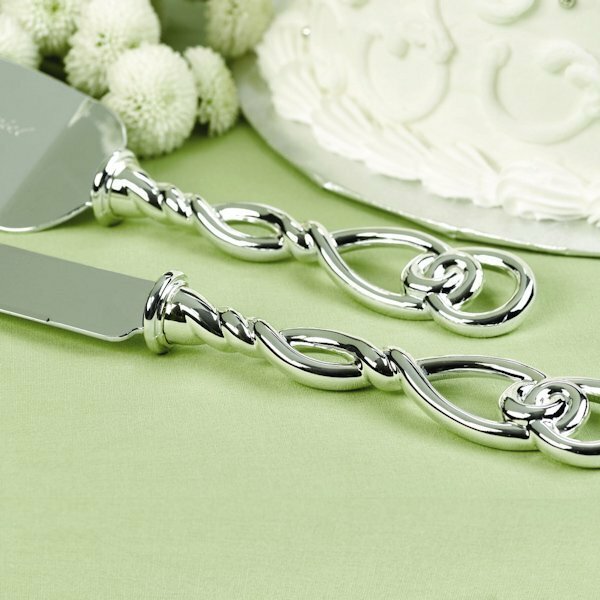 One of our best-selling wedding cake knife and server sets! 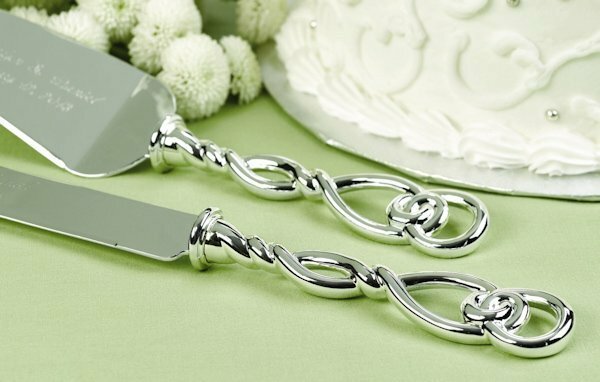 Featuring silver-plated twisted love knot handles, this cake knife and server would be an elegant addition to any reception or event. 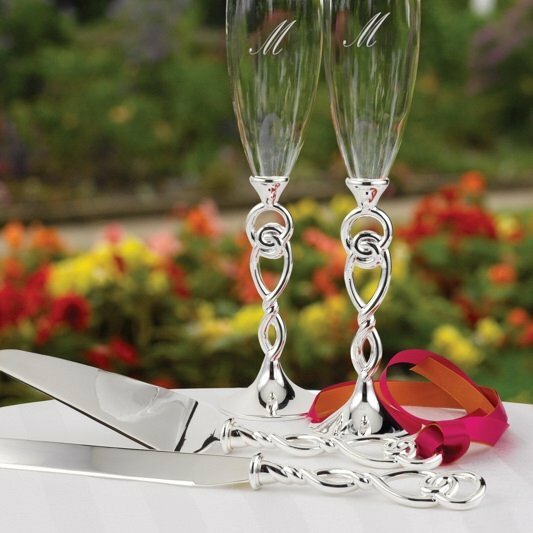 We even sell matching champagne flutes for a full coordinated look (you must purchase separately). 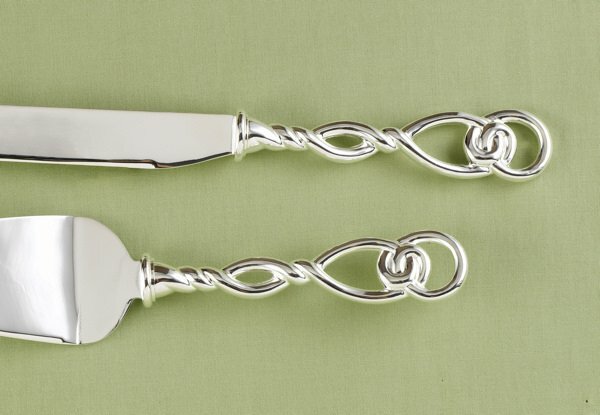 NOTE - This item includes 2 lines of optional personalization that appears on both pieces. We recommend the bride and groom's names on line one and the wedding date on the second line. 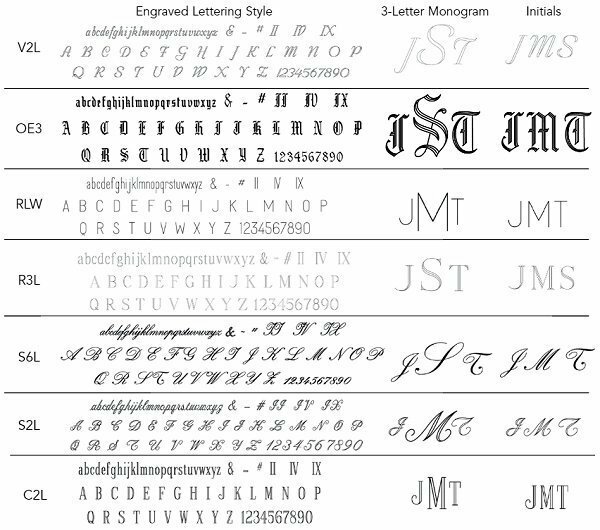 You can also choose the engraving font at checkout.